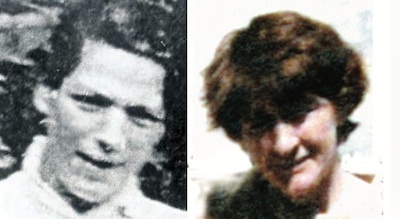 In a conflict that generated horrific atrocities in abundance, few delivered more grief to its victims than the murder of widowed mother-of-ten Jean McConville in December 1972. Looking back more than forty years later it is almost impossible to fathom the pain that such atrocities inflicted on families and friends. And yet the conflict in the North brought misery without end in the early seventies -- 15 civilians were killed in the UVF bombing of McGurk’s Bar in Belfast in late 1971; British Army massacres in Belfast the same year and in Derry in January 1972 took 11 and 14 lives respectively; and a devastating IRA bombing at Claudy just a few months before McConville’s abduction left 9 dead--and these were but the worst in a long string of staggering atrocities that accompanied the outbreak of war in the North. Jean McConville -- a Protestant in a mixed marraige -- had moved to Divis in the Lower Falls area after she and her husband were burnt out of East Belfast by loyalists. After her abduction by the IRA, McConville’s surviving family was broken up and her children scattered, some of them taken into care. Her son Michael insists that the RUC had information on the 32 year-old’s disappearance within two days, yet the police never attempted to find her. Although the British government have gone to extraordinary lengths to resurrect the case over the past couple of years -- pouring huge resources into bringing a high-profile court case in the US to win access to interview transcripts and, in the last few weeks, arresting high profile veteran republicans, including most recently Sinn Fein president Gerry Adams -- the fact is they never even opened a file on McConville until forced to do so by her family in 1995, almost a quarter century after her death. David Cameron’s rejection of the call for an independent inquiry into the murder of Belfast solicitor Pat Finucane is only the most well-known attempt to bury the story of the state’s deep complicity in sectarian murder, and the notion that state forces have come under some special scrutiny in recent years is delusional. The new turn is a flagrant attempt to draw a line under investigations into state terror, though Villiers reserves the power to prosecute republicans and loyalists as the needs of the ‘peace process’ dictate. Facing “dozens of inquests” into Troubles-related killings and with a string of High Court cases “by victims alleging state collusion in murder,” London is looking for a way to shut down the search for truth, not to expand it. It is the convergence of interests between the British state and the most backward elements in Unionism--exposed for their scuppering of the recent Haass talks--that explains Villiers’s declaration. Villiers’ announcement just a day before Adams’ arrest that she would block an independent review into the 1972 murder by British paratroopers of 11 unarmed civilians--including a mother of eight--in Ballymurphy provides clear evidence of the double standards at play. “When you will stop harbouring murderers in the ranks of the British Army?” John Teggart, speaking for their families, asked of David Cameron. “Never” would be Cameron’s response if he were speaking honestly, and in this he has the full backing of the British and Irish establishments. All of this comes within days of the grand hooley at the Queen’s residence in London, after all, when the Irish elite of all political stripes--including Sinn Fein--fell over themselves in begging London’s forgiveness for having once intruded on imperial prerogatives. The southern establishment also has a stake in seeing Adams and Sinn Fein taken down. They face an electoral upheaval as a huge sentiment of disgust with the Troika parties of Fianna Fail, Fine Gael and Labour unfolds. Up to now Sinn Fein has been the main beneficiary, topping two out of the three Euro seat polls. A surge to Sinn Fein would not de-stabilise the state in itself and some of the more perceptive establishment figures know that they can be eventually co-opted into a coalition with Fianna Fail and neutered. But the break-up of the cosy political club that has dominated Irish politics since the foundation of the state would still create a major problem. It would raise the expectations of working people and help remove the thick cloud of fatalism that has demobilised them. If FF, FG and Labour were destroyed at the polls, the confidence to fight water charges and spread the example of resistance from Cork would grow. Enda Kenny and the entire establishment will gloat over Adams’ arrest not because they feel any particular sympathy for the McConvilles, but because it diminishes the threat of an electoral thrashing they so richly deserve. Villiers’ call for a “proportionate” focus on paramilitaries reinforces Unionist complaints that too much attention has been paid to state violence, but this represents an obscene distortion of the record. For more than a quarter century the full power of the state was applied to suppressing what was, in effect, a popular nationalist insurgency in the North. In the process tens of thousands of young men and women were jailed and interned, and substantial numbers of them tortured or killed, in an effort to crush resistance and shore up a repressive, sectarian state. The state response to the IRA’s horrific 1978 bombing of the La Mon hotel (in which 12 people died and dozens suffered severe burns) stands in sharp contrast, for example, to the official response to Bloody Sunday. In the immediate aftermath of the La Mon atrocity the RUC assigned a team of 100 detectives to the case; 25 Republicans were rounded up for questioning in the days afterward, including Adams. Two were charged and one individual was sentenced to twelve life sentences. By contrast, not a single soldier has ever been identified, let alone prosecuted for the murder of 11 unarmed civilians in Ballymurphy in 1971 or 14 in Derry early the following year. In some cases Army officers who presided over the slaughter or who have been proven to have lied through their teeth were decorated and promoted, and went on to serve out long careers overseeing counterinsurgency in Iraq and elsewhere. In many cases involving allegations of RUC collusion, important files have been burned or gone missing, while veterans of the sectarian force have found their way back into paid employment in the ‘reformed’ PSNI--even as ‘investigators’ on cases going back to the period of their tenure in the RUC. The British state’s selective approach to the past is not just about maintaining its control over a staggering peace process that requires permanent life support in order to survive. The kind of stability that they seek to preside over for Northern Ireland requires a rendering of the past that casts them as a neutral party presiding over warring tribes, and in many ways it is Sinn Fein’s complicity in this charade that has allowed them to get away with it. If all of this is now coming back to bite Adams and the SF leadership, they can hardly claim to be shocked that the state they now help to administer has reverted to a familiar routine. McGuinness now complains about ‘dark forces’ in the PSNI, but they did not suddenly appear this week. The sharp contest over what sparked thirty years of war and over who will be prosecuted and who will be given a free pass for atrocities committed during the Troubles is not only about embedding a particular rendering of the recent conflict that exonerates the state. It is also about who will shape the future. Regardless of whether the McConvilles get the answers they deserve over the coming months, the chances of getting a full and honest accounting of the recent past through a process overseen by a British government up to its neck in perpetrating violence are nil. That will only come in the course of a fundamental challenge to the establishment north and south.